For a show which professes to be all about love, Love Island is a pretty brutal programme. ‘National Heartbreak Island’ or ‘Love Triangle Island’ would perhaps be a more appropriate title. And tonight looks set to be a particularly sunny hell of emotional turmoil. Basically, a lot of people are about to get mugged off. Caroline Flack has been dropping some seriously big hints which have left viewers suspicious of an impending mass dumping. Now – as we all know – the 38-year-old TV presenter only graces islanders with her hair-flicking presence during eliminations or when a big announcement needs to be made. The merest echo of her River Island sandals strutting towards Casa Amor is enough to sweat the suncream from the contestants’ brows. In this glittery pocket of reality, the Flack giveth and she taketh away. Tonight we’re going into the villa. But one cannot tell you why. The ITV host can be seen getting her make up done, all ready for battle. 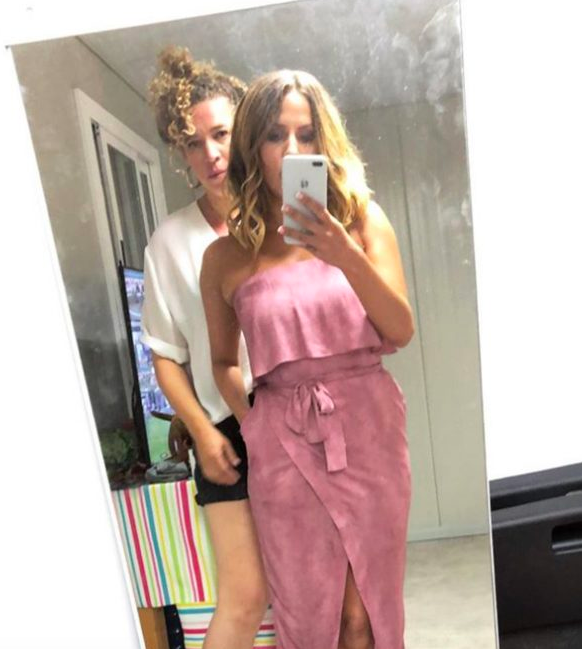 In another image, she flaunts the strapless pink dress she will rock for what many believe will be a brutal mass break-up. This latest intrigue is indeed lending further credence to rumours of a seriously dramatic plot-twist brewing in the pec-packed paradise. Tonight looks set to be a tense one. Mirroring the previous series, the original boys will make their return to Case Amore, accompanied by the six new girls. As if this wasn’t drama-inducing enough, a savage re-coupling will then occur with the islanders choosing who they want to stay with, and who they don’t. 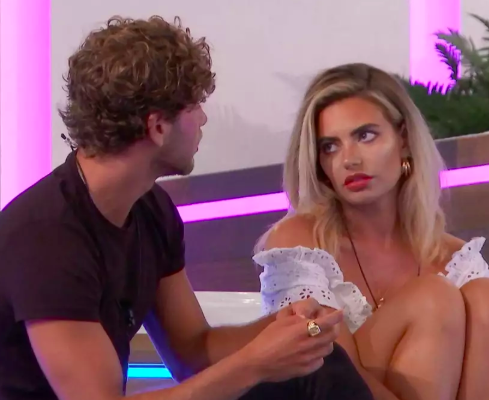 Viewers appear particularly concerned about the fates of Romeo and Juliet of the season, Dani and Jack; particularly after a tweet from the official Love Island Twitter account which showed an emotional Dani responding to a shocking text. FIRST LOOK: A cheeky challenge makes the Islanders paranoid, and poor Dani is crushed by a devastating text. Surely life – even in this surreal, toned alternative universe – couldn’t be so cruel as to rip loveable Dani and Jack apart? LEAVE JACK AND DANI ALONE!!! they are happy together and there’s no need to try ruin them!!! you’ll lose views not gain them by doing this. Don’t say ‘poor Dani’ like you give a stuff about her feelings. If you cared for ANYONE’S feelings you’d stop trying so hard to split Jack and Dani up and instead focus on showing Georgia what Josh has been up to. I’m not sure if I am even ready for the infuriating events which will undoubtedly unfold this evening.